Though we have detailed a couple of one day touring ideas there are numerous alternatives for day trips in the Highland area. 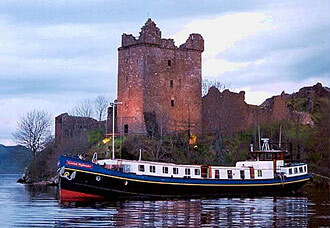 Two or three day tours throughout the Highlands and Islands can be a fascinating option. This can include the inner and outer Hebridean Islands in the west, or the Orkney Isles in the north. 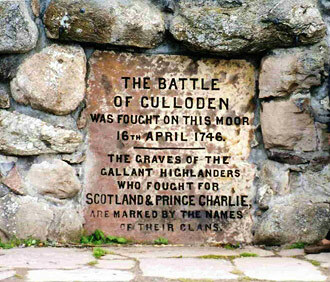 One of the most important places to visit, and possibly our first stop, is Culloden Battlefield. The culture of the Scottish people (particularly Highlanders) and the way it has evolved over the last 250 years really does become easier to understand after you have been here. A recent multi million pound investment by the National Trust for Scotland in a “state of the art” visitor centre is testimony to the importance of this historic site. Nearby is an ancient group of stone circles known as Clava Cairns, and they are most definitely worth a visit. Whilst we can learn a great deal about the people who built these Cairns the truth is that we also have to indulge in considerable speculation. On now through Strathnairn (Strath = wide valley) to Cawdor Castle. This is without question one of the North’s finest castles, built in the 14th Century, and very much a family home right through to this day. Do you remember the Shakespearean connection with Macbeth ? Though more will be explained on the day let us just say for the moment that he took considerable poetic license, not least by denigrating one of Scotland’s great kings! To the Dowager Lady Cawdor’s great credit she does not place any great emphasis on the inaccuracies of that “Scottish Play”, but of course she does not have to. Cawdor Castle, her home, has a remarkable story of it’s own to tell. From here we will travel back through Inverness, and after a look around, carry on to Loch Ness. The driver/guides who work within Private Tour Scotland are often asked “do you believe there is a monster in Loch Ness”? Now it has to be said that the initial answer might not be the most “honest” when you bear in mind the huge sums of money this story continues to generate for the local economy – especially when a large part of our income comes from tourism! However, you may well be surprised by the true thoughts of people who know this area well. Whatever the answers you cannot fail to appreciate the natural beauty of this spectacular Loch, and it’s location in the Great Glen (Glen = narrow valley). Close to the village of Drumnadrochit, right on the Loch’s shore, we come across the ruins of Urquhart Castle. Though extensively damaged at the turn of the 18th Century this dramatic ruin, in its peaceful setting, belies an incredibly turbulent history. It certainly was of great strategic importance in its day especially when you consider that, within the Highlands, the Great Glen was the only low lying route from east to west. We will now take a slight de-tour on our way back to Inverness over a short stretch of moorland towards the small town of Beauly. On our way we pass through Lovat Fraser country. Though once a great and powerful clan it was perhaps inevitable that the time would come when the clan chief would no longer occupy the family seat. That time is now as the present Lord Lovat no longer owns Beaufort Castle. We head first in an easterly direction. After taking a slow drive through the small town of Nairn (an interesting little seaside town with a couple of equally interesting Golf Courses – one of which hosted the 1999 Walker Cup!) we move on to the “floral town” of Forres. The people of this town are justifiably proud of the magnificent floral displays which abound in summer, not just in their public parks, but also around shops, offices and private homes. At the edge of the town is a remarkable Pictish Stone (Sueno's Stone) with very distinctive carving. Though in reality we know very little about the Picts, or indeed how they seemed to “fade away”, we can learn a lot from the stone carvings they left, and without question this is one of the best examples. We now follow a route through a couple of little fishing towns on our way to the City of Elgin. One of these is Lossiemouth where you can see the small house where Ramsay Macdonald was born. Ramsay who? I hear you ask. He was actually the first ever Labour Party Prime Minister of Britain. Perhaps not the most fascinating piece of information you will discover on this trip, but it does give rise to the whole subject of how the Labour Party came into existence, and its “socialist” Scottish roots. The ruins of Elgin Cathedral still dominate a large area close to the City centre. What is left of this once magnificent building is, even now, a structure with a strong, dramatic presence. Another place well worth visiting in Elgin is Johnston’s Woollen Mill. Their factory shop is beautifully laid out, and full of high quality goods. Sadly there are very few genuine woollen mills left so it is interesting to be in a store where so many of the items for sale are genuinely manufactured on the premises. From here we head into Speyside, and travel along the River Spey towards Dufftown, and the Glenfiddich Distillery. Actually there are a large number of distilleries in Speyside including Glen Grant, The Macallan, Cardhu, Glenlivit, Glen Farclas, etc, etc, so we can easily choose another if you have a preference. In addition to at least one distillery visit we will try and look in at the Speyside Cooperage. This is where they make and repair whisky casks - a very important and fascinating aspect of the industry. Among many other things, you might learn why Jack Daniels is of great importance to many Scottish Malt Whisky Distilleries !! From illegal stills that once flourished in this area came many of today’s great whisky producers. Though the quantities (and quality) have changed the basic ingredients remain. 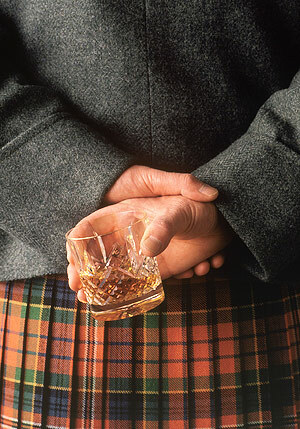 As you will discover we have a great respect for age in Scotland – but never more so than when it is served in a glass! As we wind our way out of Speyside you will undoubtedly come across other familiar distillery names.